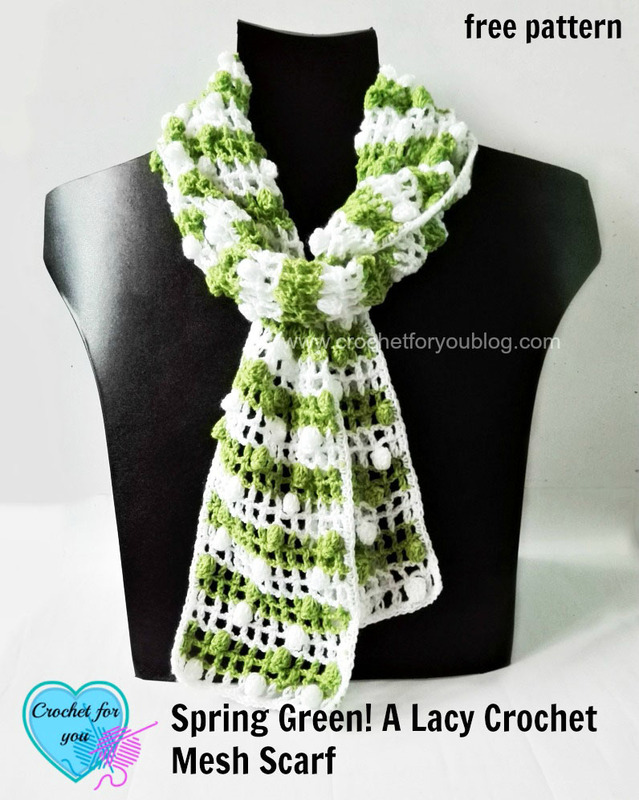 Spring Green A Lacy Crochet Mesh Scarf Pattern by Crochet For You. 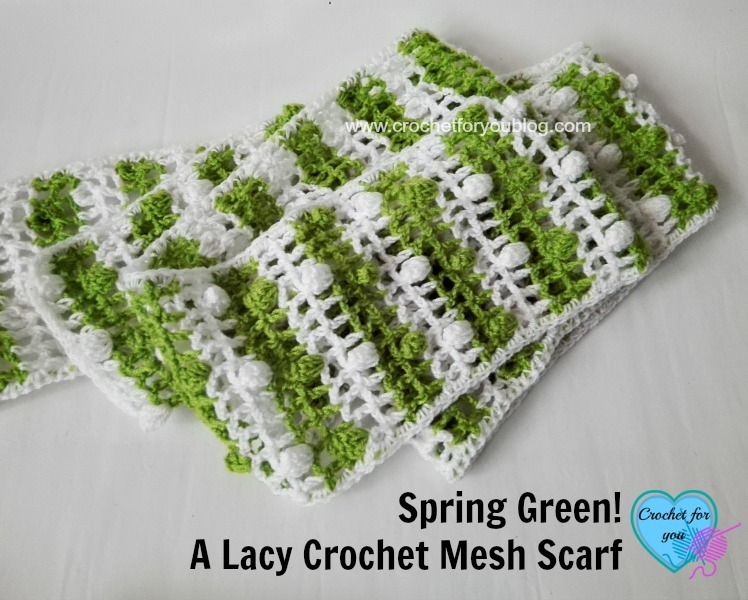 Bringing you a feel of Spring, I made this crochet scarf. 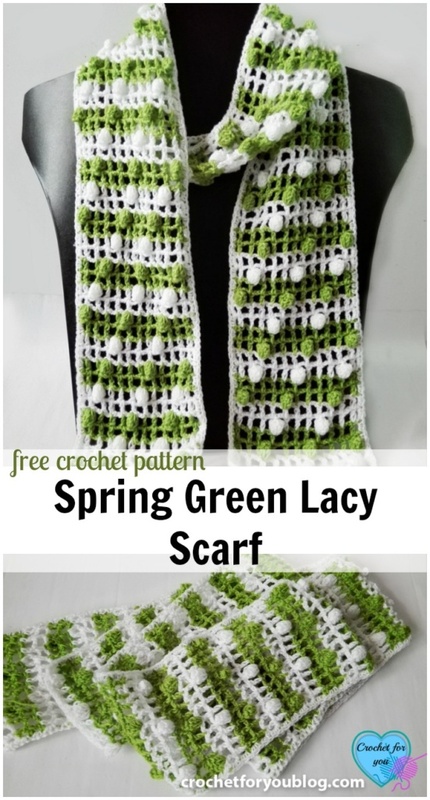 Spring green A Lacy Crochet Mesh Scarf free pattern. 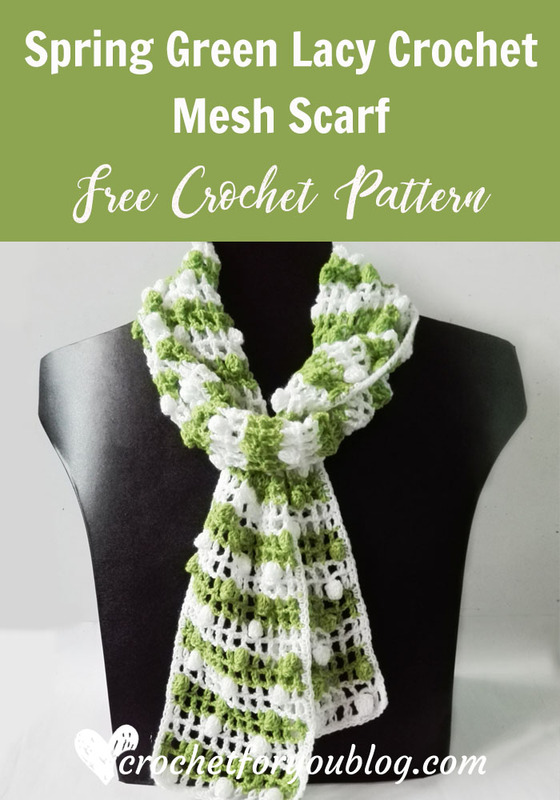 About the pattern: This is a long scarf pattern that crocheted with sport weight yarn to get the lightweight and lacy look. 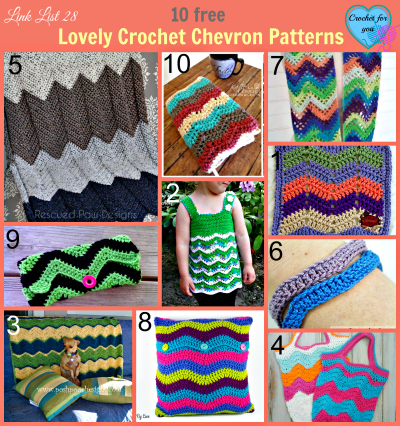 This pattern has fun and delicate look with angled popcorn stitch stripes running all over the design. 5dc-pc = 5 double crochet popcorn: (PC) crochet 5 dc sts in indicated stitch, Drop the loop off from hook, Insert the hook first dc of 5 dc, grab the dropped loop with the hook and pull it through the stitch. ch 1 for close popcorn st.
beg ch(s) count as a st.
Color Changes after every 2 rows in this pattern. 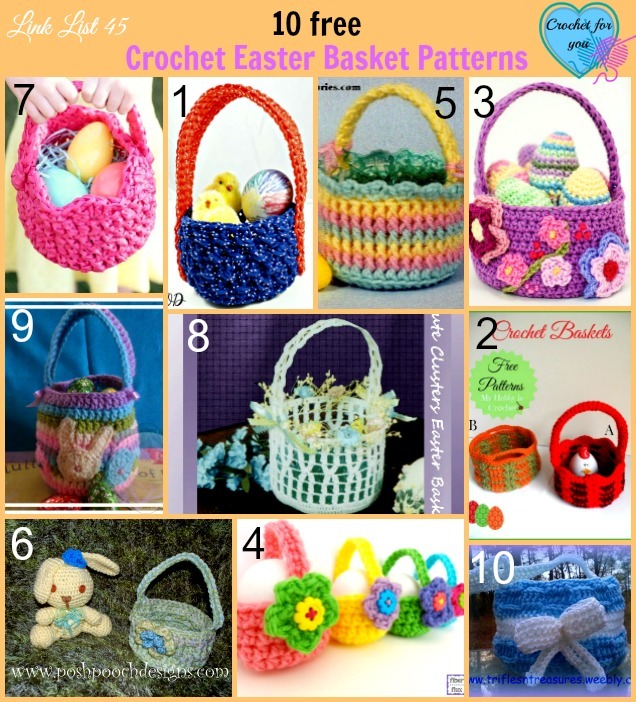 Carry up each color when it needs, so no need to break the yarns, it will be covered up when crocheting edging part. Edging: Crochet sc around evenly. 2 sc in each ch-sp and side dc sts around. 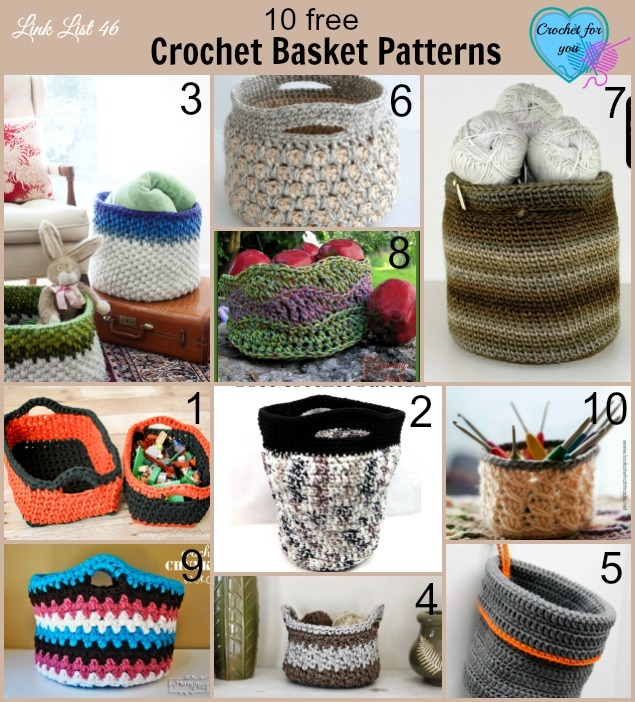 Crochet 3 sc in corner side sts. 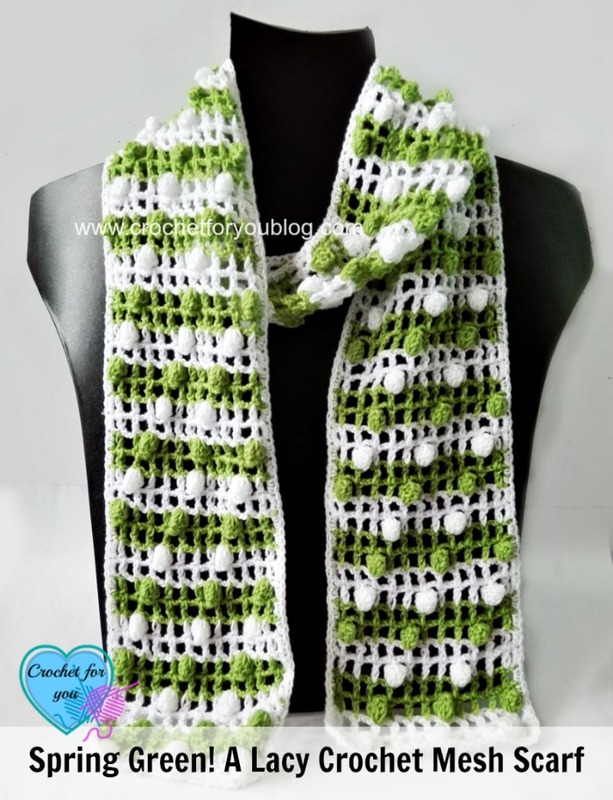 such a cute and sweet scarf! 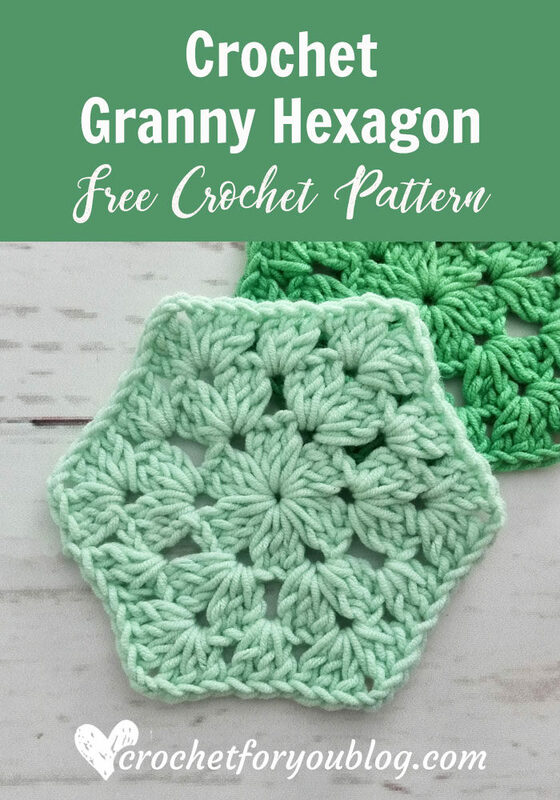 love the free pattern, thanks for sharing. Very cute! I love the texture and color combinations.